Ken Nochimson has joined the Shield team as its United States relationship manager. 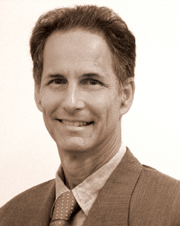 Based in New York City, Ken is an attorney highly regarded in the Healthcare sector. Ken is founder and President of Advise & Consent, a communications firm specialising in healthcare. Advise & Consent has aligned itself with key thought leaders and innovators and helped extend their reach and influence through media and other program initiatives. Ken was the founder and President of HealthStat Productions and successfully merged that company with QualityMetric. He was instrumental in raising venture capital for QualityMetric and played a key role in business development and communications. QualityMetric is now the world leader in developing patient-reported health surveys and data used by the health care industry. My experience working with thought leaders and progressive companies in healthcare combined with Shield's in-depth knowledge in the medical device, biotech, pharma and information / technology sectors offers an excellent transatlantic bridge" said Ken. Ken is a graduate of Rutgers University and New York Law School. In pro bono service, he serves as Chairman of the Board of the Washington DC based Communications Consortium Media Center (CCMC). CCMC is a public interest media centre dedicated to helping nonprofit organisations use media and new technologies as tools for policy change. CCMC receives support from the Bill and Melinda Gates Foundation, Ford, Hewlett and many other foundations. Ken lives in New York City and Shelter Island with his wife, the artist and filmmaker, Anita Thacher. He enjoys tennis, art, film and travel.